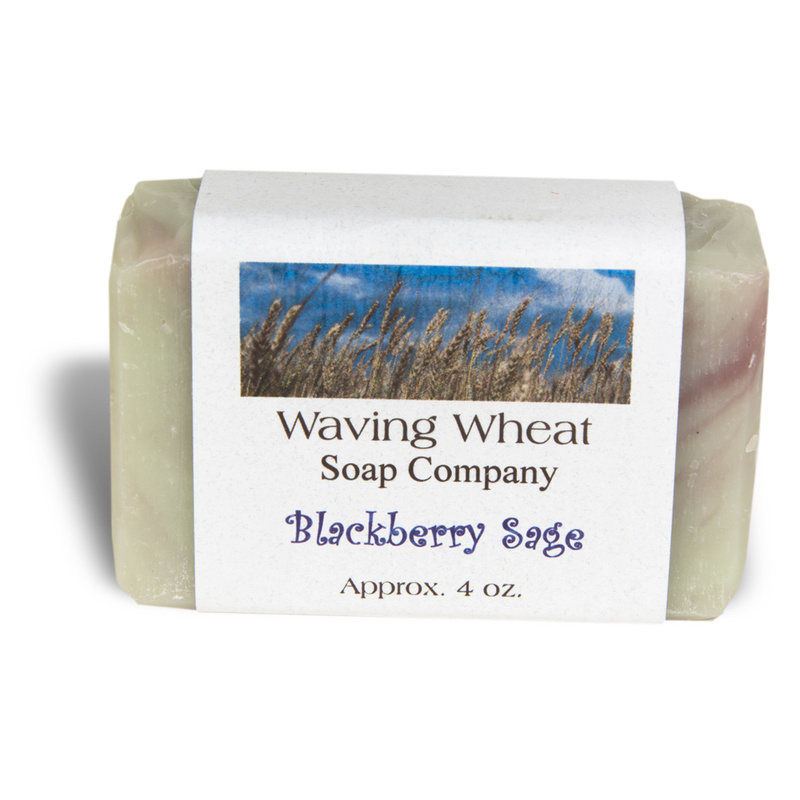 Featuring the perfect blend of blackberries tempered with sage, these fragrant and creamy, moisturizing bars of soap are made in small batches using a traditional cold-process method. From the finest, natural ingredients: coconut oil, palm oil, olive oil, distilled water, lye, fragrance, and colorant. By the Waving Wheat Soap Company of Overland Park, Kansas.